The evolution of the lunar module at Grumman Aircraft Engineering. NASA prepares for the Apollo 1 mission, then investigates the cause of the mission's tragic cabin fire. The United States launches an aggressive plan to beat the Soviets to the moon. How many episodes of From the Earth to the Moon have you seen? Capcom: and "Pravda" is calling Neil Armstrong the "czar" of the ship. 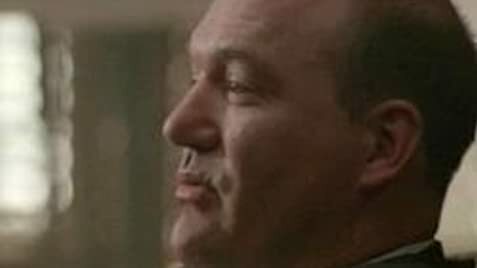 Michael Collins: Well, right now the "czar" is brushing his teeth. 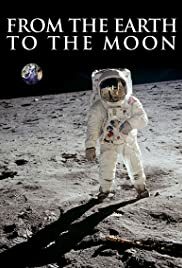 The best thing about this series is the fact that it will either teach or remind a great many people about the accomplishments of the race to the moon. Sadly I feel that this is one of the most misunderstood and under appreciated events in human history, thought of by many today as some sort of great patriotic publicity stunt by an insecure America. I feel I can almost read Tom Hank's mind and feel his desire to make people understand the difficulty and significance of the achievement. The series does a wonderful job of placing the entire series of events in context with the political and social climate of the day. We now live in a world where most of us simply take it for granted that we will probably someday travel to, explore and perhaps even colonize other worlds in our solar system and even beyond. This is the only true because hundreds of thousands of people contributed to proving beyond doubt that it can be done. The race to the moon changed us, even if we don't quite realize it, and this series is a reminder of that.